This week’s forecast is a mixed bag, but definitely a useful one. Ever find yourself slipping into daydreams about romance when things aren’t going right for you at the office or whatever? That’s pretty much the kind of week we’re going to have. Every planet is more or less taking a beating except for our old friend Venus. The big astrological news dominating occurs in the middle of the week. There will be two major events that have a direct bearing on the health and the status of love lives everywhere. One of them is Venus conjunct Neptune, late Tuesday night or early Wednesday morning. If you are in an existing relationship that could benefit from some kindness, thoughtfulness, or forgiveness, this is an excellent aspect. If you are prone to diving into relationships without stopping to think about the potential consequences, Venus conjunct Neptune could do that to you this week too. Neptune is pretty alluring, but it is not noted for its skills with logic or discernment. On Wednesday, Jupiter turns retrograde. This lasts until August. Jupiter retrograde doesn’t usually cause as much mayhem as Mercury retrograde does, and even though it’s retrograde, Jupiter will still be in Sagittarius, which is a strong placement for it. But Jupiter is the ruler of committed relationships, and you’ll be wanting to put more thought and care into those things in the next few months. That, and if you’re planning on getting married between now and August 11th, drop everything right now and contact an astrologer about picking the right date and time for it! Speaking of retrogrades: have you noticed that there is a lot of foggy thinking and mangled communications going on, despite the fact that Mercury retrograde is over? You might feel some of that dissipate this week, or you might just go ahead and say the wrong thing at the wrong time anyway. That’s because Mercury sextile Pluto is exact on Wednesday, and that will sharpen your words and thinking. On the other hand though, late Thursday night Mercury square Jupiter is a recipe for impatient or ill-considered communications. Be careful who and what you blow up with, and don’t accidentally overestimate your skill level with things. The weekend brings us some interesting conditions for dating. On Friday, Venus sextile Saturn improves your odds of finding a lasting relationship, or of being able to shore up an existing relationship which needs the support. The weekend also brings us Sun square Pluto and Sun trine Jupiter. That’s a peculiar combination. On the one hand, egos and obnoxiousness might get a little out of control… and the aspect from Jupiter makes everyone more than willing to express that. If nothing else, this might make for some amusing shouting matches at your local bar. 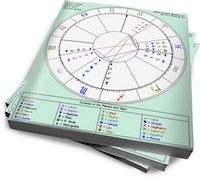 Finally, on Sunday, Venus sextile Pluto is exact. If Venus conjunct Neptune made things cuddly and fuzzy and kind of strange for you, Venus sextile Pluto add extra depth and intensity to your affections, and makes your appetites a little sharper. This could be an excellent weekend to find someone new… provided all your time isn’t taken up with those shouting matches.